Each rule has to be associated with a country: this means that only to users from the specified country will be redirected to the new destination URL. It works the other way round if you check the option Country Excluded. 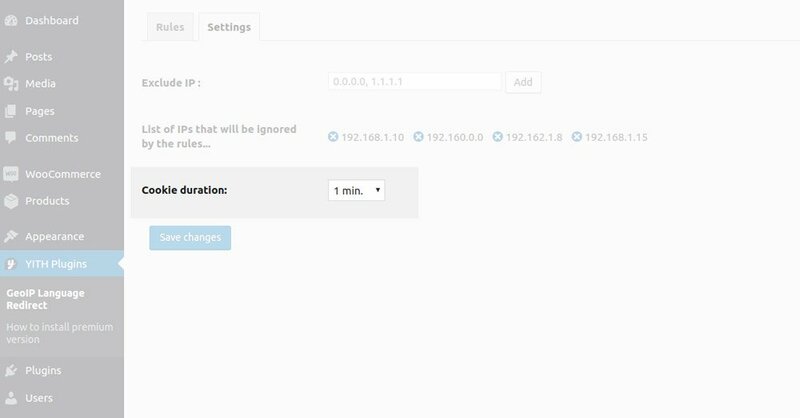 If this option is enabled, users coming from everywhere but the selected country will be redirected. In the above screenshot, everyone will be redirected except for Italian IPs. 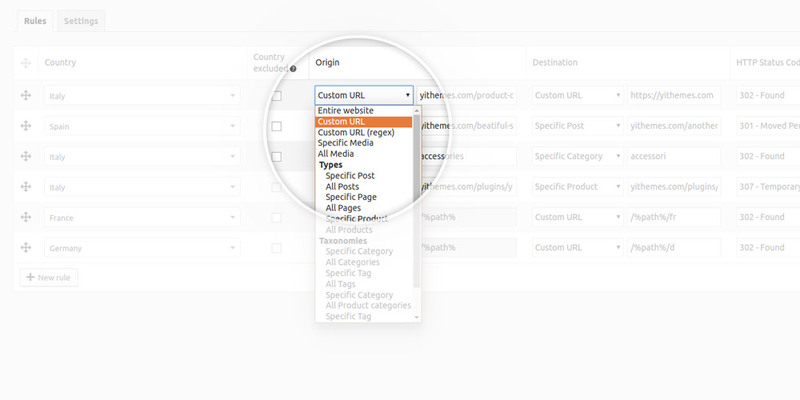 Select the origin page for the redirect rule in question. 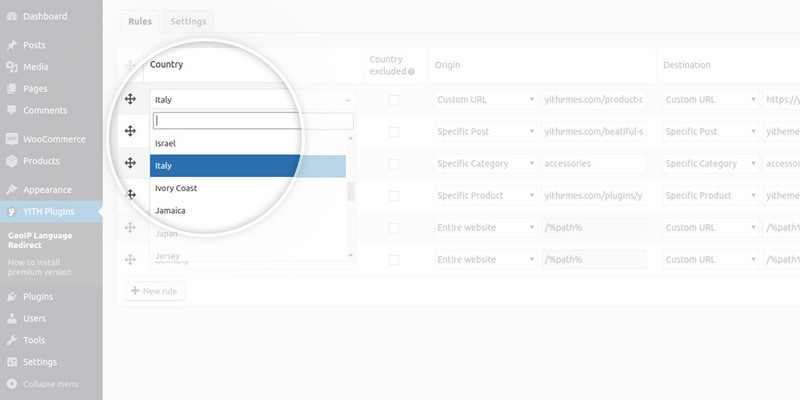 Users can either be redirected to any page of your site or to a custom URL. 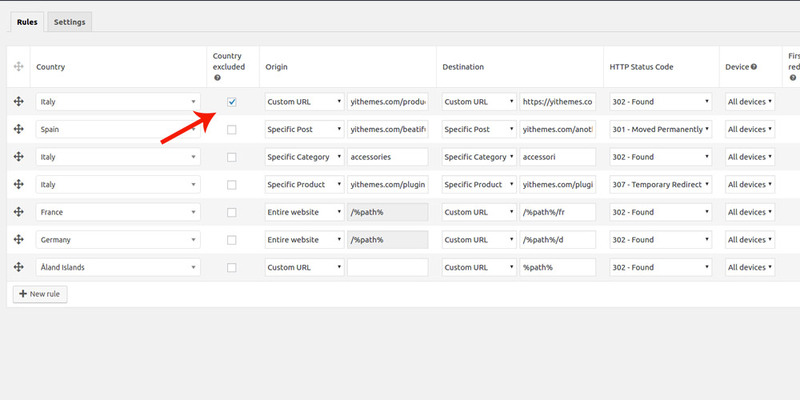 In the latter case, you can use the placeholder %path%, which allows you to retrieve the origin URL dynamically. Let’s make an example to better understand. 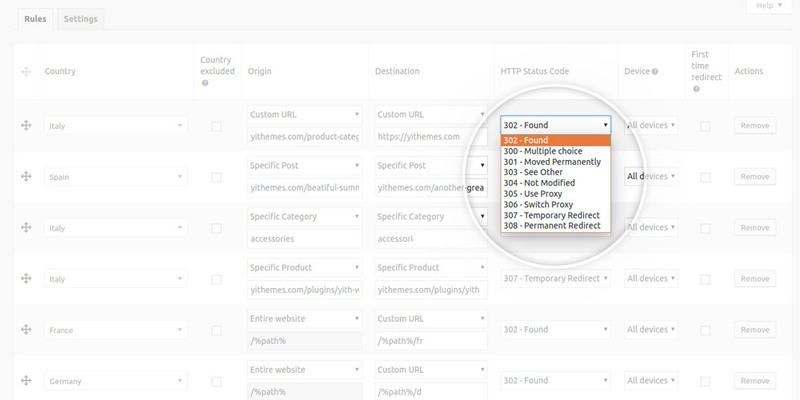 You can associate a specific status code with the redirect HTTP request. For any further information about the error codes, please, visit this page. 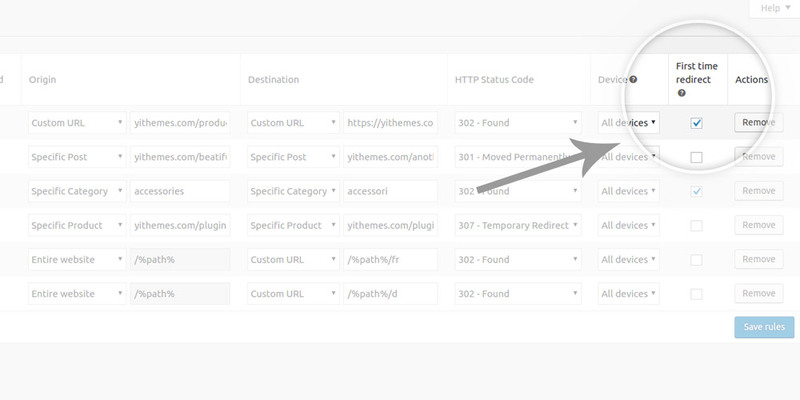 On this page, you can read how to use the option “First time redirect” on the rule. When users visit a certain page for the first time, a cookie is activated on their browser and they are redirected according to the rule settings. From that moment until the cookie expires, if those users come to visit the same page again, they will not be affected by the redirect. 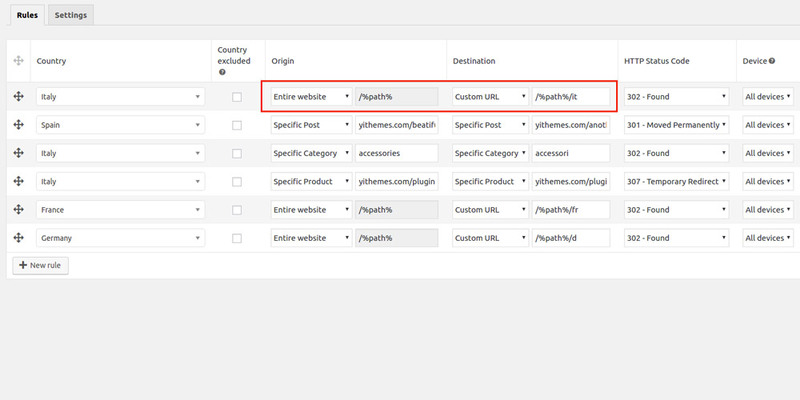 The cookie duration can be changed in the “Settings” tab in the plugin settings panel.